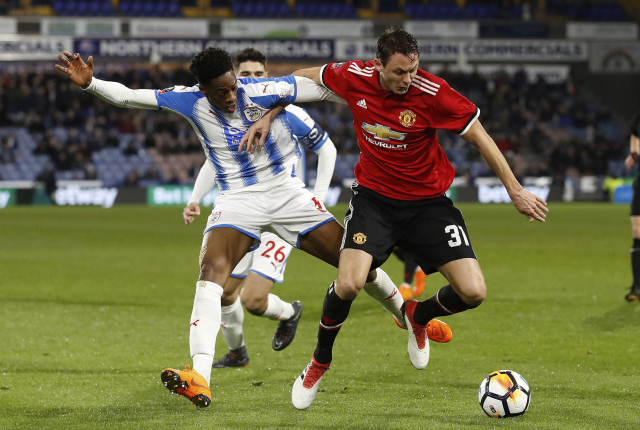 LONDON (AP) — Manchester United will host Brighton in the FA Cup quarterfinals next month after all the big guns avoided each other in the draw on Saturday. Theirs is a repeat of the 1983 final, won by United in a replay. Wigan or Manchester City, who meet on Monday, will host Southampton. Chelsea, last year's beaten finalist, visits Leicester. The winner of the Rochdale-Tottenham tie on Sunday will travel to Sheffield Wednesday or Swansea. Sheffield Wednesday and Swansea face a replay on Feb. 27 after their fifth-round clash at Hillsborough ended goalless on Saturday. The quarterfinals will be played over the weekend of March 16-19.